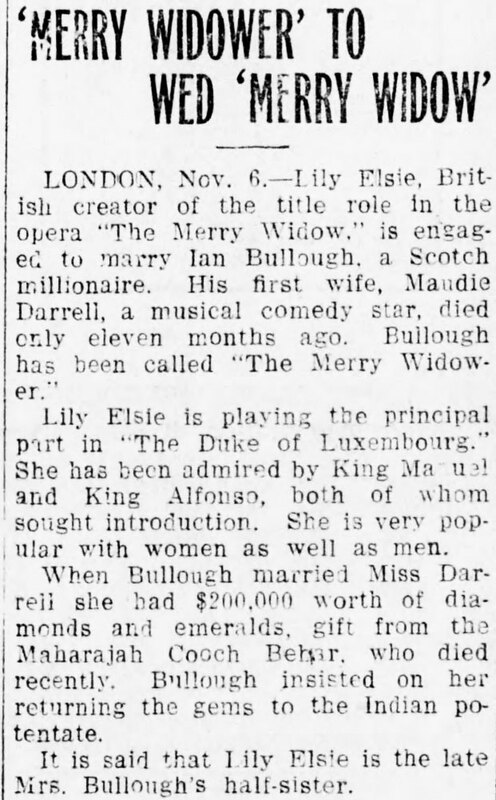 Born 8th April 1886 at 39 Simpson Street, Armley, Leeds, Yorkshire: given name Elsie. Birth Certificate shows mother Elizabeth Hodder (Dressmaker); no father is shown on the certificate and the identity of Elsie’s father is generally taken to be “unknown” though the likely candidate is the man Elizabeth subsequently married, i.e. William Thomas Cotton: married Charlotte Elizabeth Hodder on 19th March 1891 at Chorlton-upon-Medlock, Manchester. Who Was Who records her father as Charles W Cotton. Beaton disagrees, he records William Thomas Cotton. Although he does say, 'Her parents were supposedly...'. Her marriage certificate says William Thomas Cotton (Dec'd). Alternatively, was he theatrical agent Hugh Jay Didccott (1836-1909)? Didccott was Maudi Darrell's father. 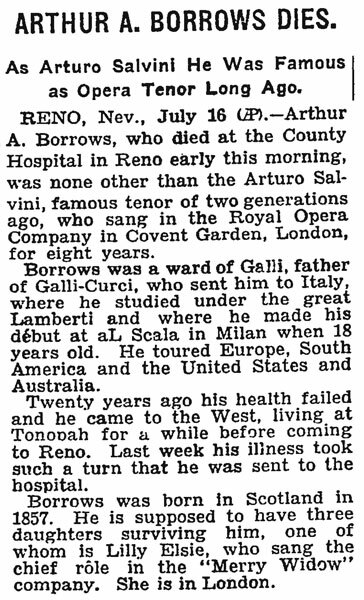 Or, New York Times, 17th July 1928 - Arthur A Borrows (Arturo Salvini)?